It may not be the tallest tree in the world but Sequoiadendron giganteum is the largest by volume, reaching up to 95 m in height and 12 m in diameter. On its introduction to Britain in 1853, the species was named Wellingtonia gigantea after the recently deceased Duke of Wellington. 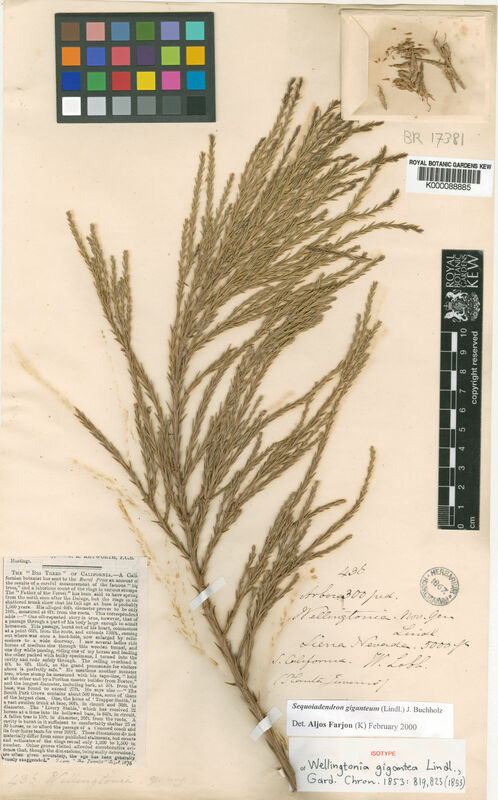 However, this scientific name was not legitimate because the name Wellingtonia had been used earlier for another plant (although it is still called Wellingtonia as a common name in the UK). 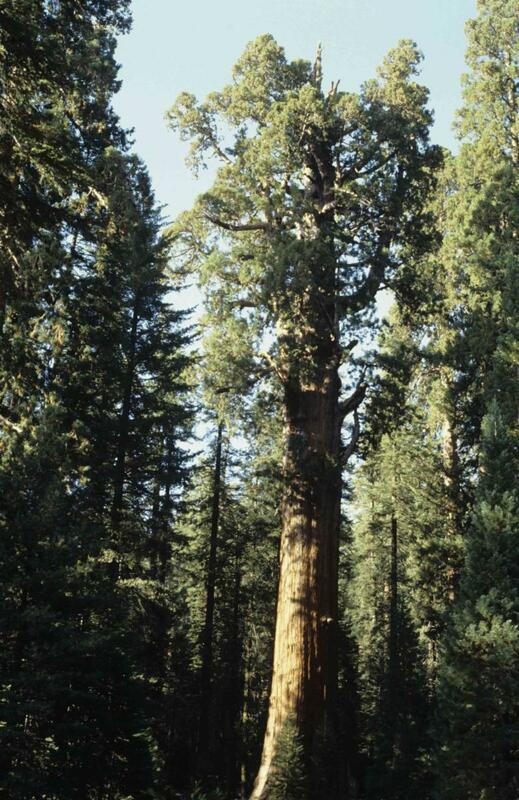 Giant by name and giant by nature, this huge Californian conifer is by volume the largest tree in the world. 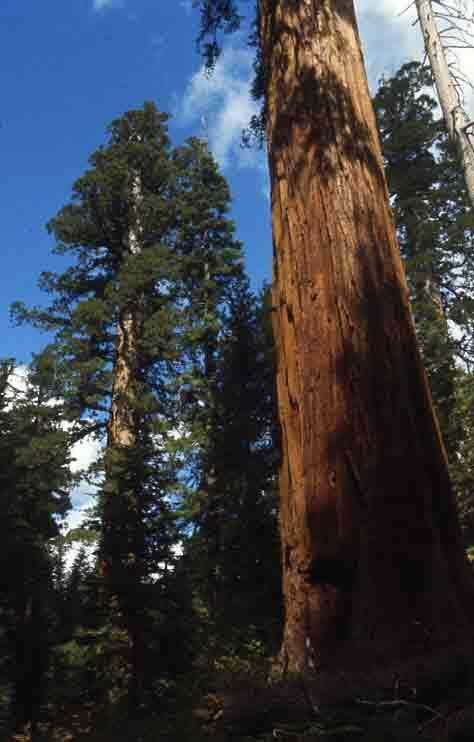 Sequoiadendron giganteum can reach up to 95 m in height and 12 m in diameter. On its introduction to Britain in 1853, the species was named Wellingtonia gigantea after the recently deceased Duke of Wellington. However, this scientific name was not legitimate because the name Wellingtonia had been used earlier for another plant (although it is still called Wellingtonia as a common name in the UK). 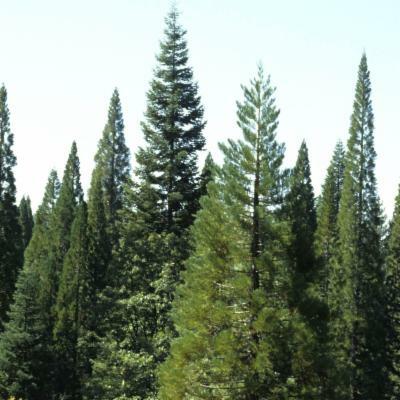 Always on the lookout for new and exciting large trees, estate owners jumped at the chance of growing another impressive specimen and having the name Wellingtonia worked wonders as a marketing tool. Although planted less frequently now, it is quite common throughout the British Isles, particularly in large gardens and parks. The giant redwood, which can live up to 3,200 years, was formerly put in the swamp cypress family (Taxodiaceae), which is now placed in the cypress family (Cupressaceae). Native to California in the United States, the giant redwood is found on the western slopes of the Sierra Nevada mountain range, where it occurs in about 75 distinct groves. It inhabits mixed conifer forests at 1,100 - 1,500 m above sea level. 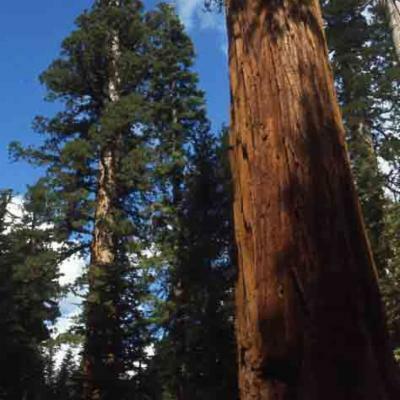 An evergreen tree with distinctive spongy red bark, the giant redwood can reach up to 95 m in height and 12 m in diameter. The deeply furrowed bark can be up to 60 cm thick. The branches form a rounded crown towards the top with individual branches sweeping downwards with upturned ends. The leaves are small and scale-like and are in spirals. 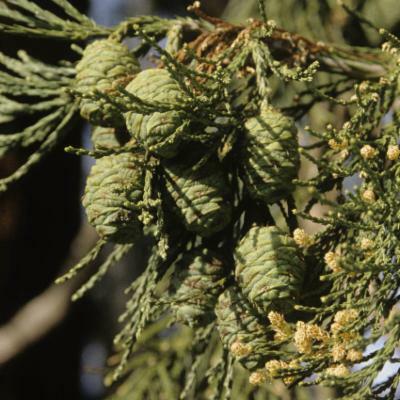 Male and female cones are borne on the same tree, and are tiny in relation to the tree as a whole, the female ones measuring a mere 5-7 cm. 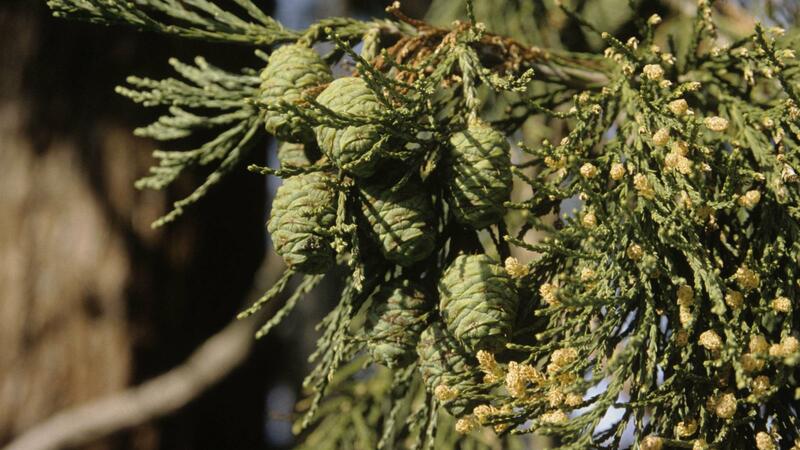 The cones take at least two years to ripen; however, many cones remain green and unopened for anything up to 20 years. They are reddish-brown when mature and contain numerous, flattened, winged seeds. Natural bush fires are not as common as they once were in California, but are essential for giant redwood reproduction. The bark is fire-resistant, so the tree is left unharmed after a fire while other plant life around it is cleared. This is a prerequisite for seedlings to grow, helped along by a layer of ash as a seedbed. The heat from the fire also starts the process, as it causes the cones to open, dispersing their seeds on the wind. 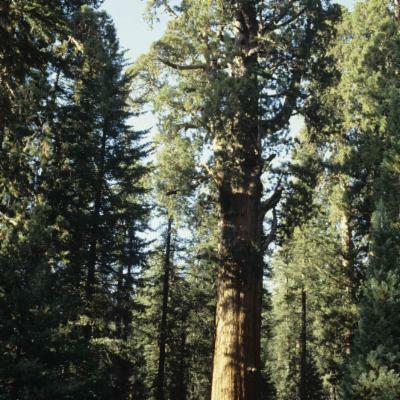 The largest living specimens are found in its native California, where the largest tree is known as 'General Sherman'. At the last measurement, it stood 84 m (275 ft) high, with a trunk circumference of 31 m (103 ft) at ground level. It is estimated to be around 3,200 years old. The speed at which Sequoiadendron giganteum grows when young is nothing short of phenomenal. In Italy, a young tree reached a height of 22 m (72 ft) in just 17 years. Growth rates depend largely on the habitat and weather conditions, and while the tree can survive in temperatures as low as -30°C, it tends to flourish in a humid environment with dry summers and snowy winters. 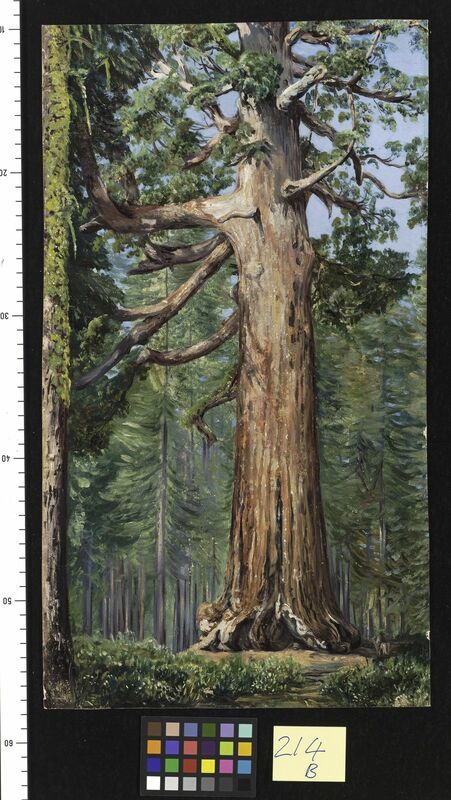 The giant redwood has been rated as Vulnerable (VU) according to IUCN Red List criteria, populations having been reduced as a result of large-scale logging between 1856 and 1955. Measures taken to prevent bush fires also led to a build-up of undergrowth which may have reduced the growth of seedlings, which need a clearing to thrive. 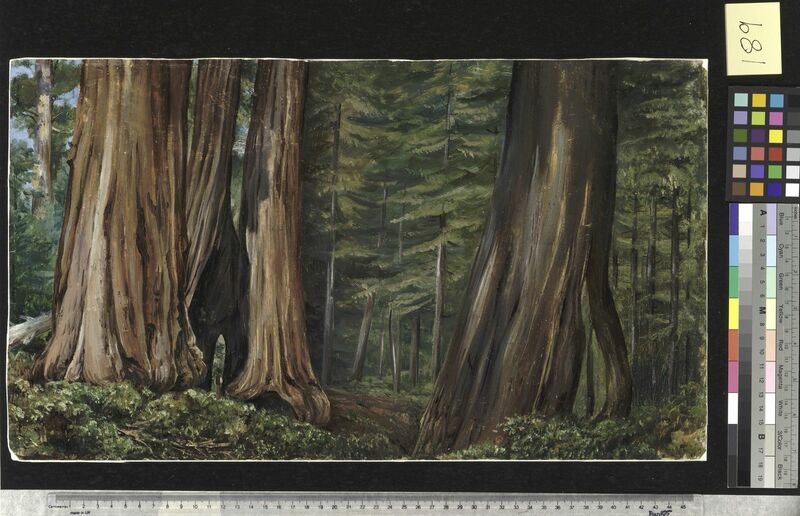 The majority of giant redwoods is now within National Parks (such as Yosemite, Sequoia and Kings Canyon); indeed 90% of wild populations are now protected. Land management and tree-planting schemes have been put in place to conserve the species. 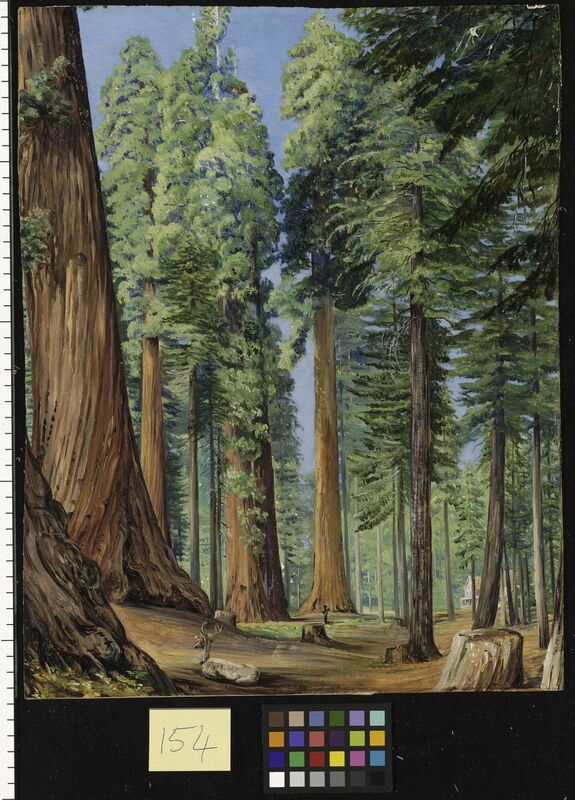 Apart from being fire-resistant, the timber of Sequoiadendron giganteum has little commercial value, which makes the widespread felling of this tree during the nineteenth and twentieth centuries all the more unfortunate. 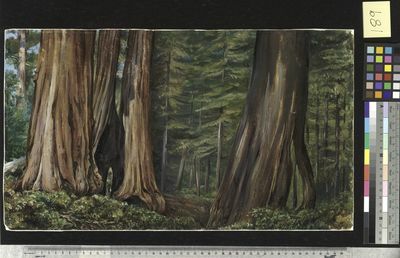 The magnificent giant redwood is now a major draw for ecotourists from around the world, and it is seen as one of the flagship species for conservation in the United States. It has been widely planted as an ornamental tree in large parks and gardens in countries with a temperate climate, from Europe to New Zealand, and Canada to Chile. The giant redwood can be seen growing in Redwood Grove, about halfway between the Pagoda and the River Thames at Kew, and can also be viewed from the Rhizotron and Xstrata Treetop Walkway. 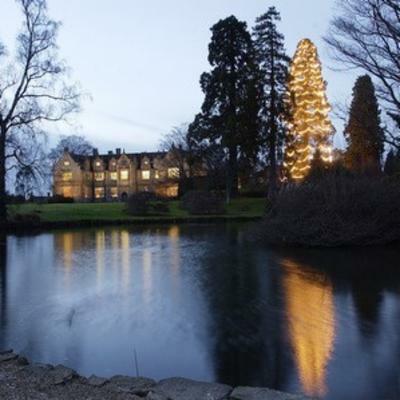 During the winter you may also be able to enjoy the spectacle of England's largest growing Christmas tree, a towering 113-foot giant redwood, which is illuminated daily in front of the Mansion at Wakehurst, Kew's country estate in West Sussex. 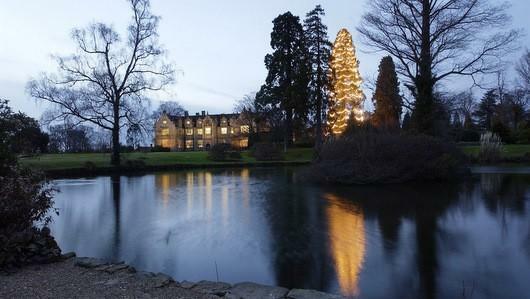 Each year a team of expert tree-climbers from Wakehurst's woodland and conservation team spend a day, using ropes and specialist climbing gear, festooning a 113-foot giant redwood tree with 1,800 Christmas lights. The twinkling Christmas tree is a local landmark that can be seen for miles around - even from the air by pilots approaching nearby Gatwick Airport. 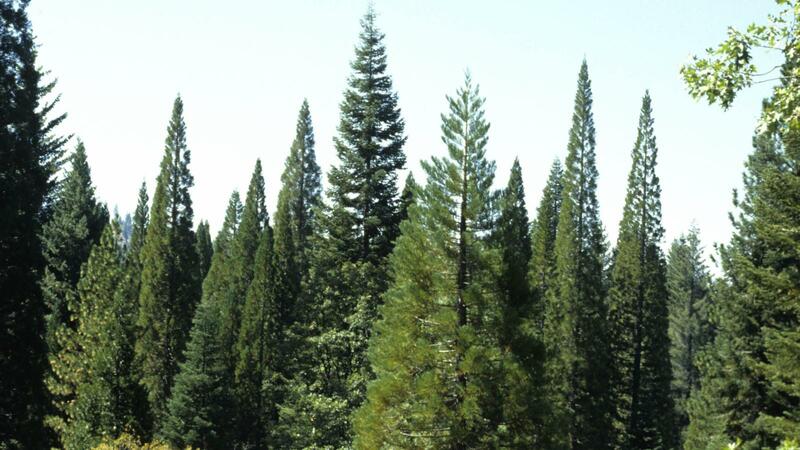 Growing as an emergent in mixed montane conifer forests. Vulnerable (VU) according to IUCN Red List criteria. Sequoiadendron giganteum is rated as Endangered (EN) according to IUCN Red List criteria and has received a EDGE score of 3, which places it in position 16 on the EDGE Gymnosperm list. It has a Evolutionary Distinctiveness of 47.81, ranked 43. More information on the EDGE Gymnosperm project here https://www.edgeofexistence.org. Farjon, A. (2010). A Handbook of the World’s Conifers. E.J. Brill, Leiden & Boston. Conifer Specialist Group (1998). Sequoiadendron giganteum. In: IUCN 2010. IUCN Red List of Threatened Species. Version 2010.3. < www.iucnredlist.org>. Downloaded on 26 October 2010.